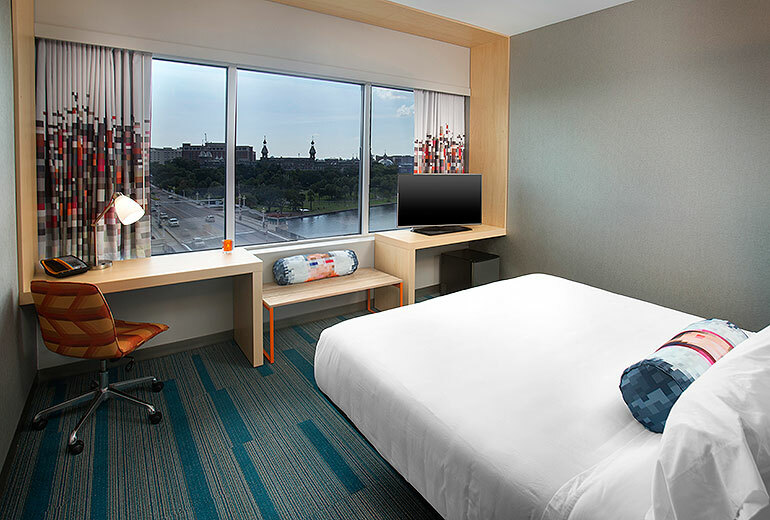 Looking for Downtown Tampa hotels on the river where locals and guests alike enjoy modern style and happening social scene? 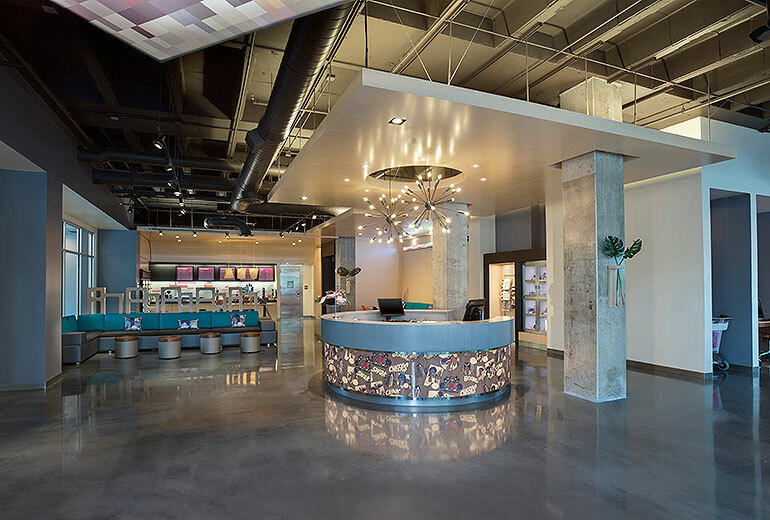 If so, take a look at our spotlight on Aloft Tampa Downtown! 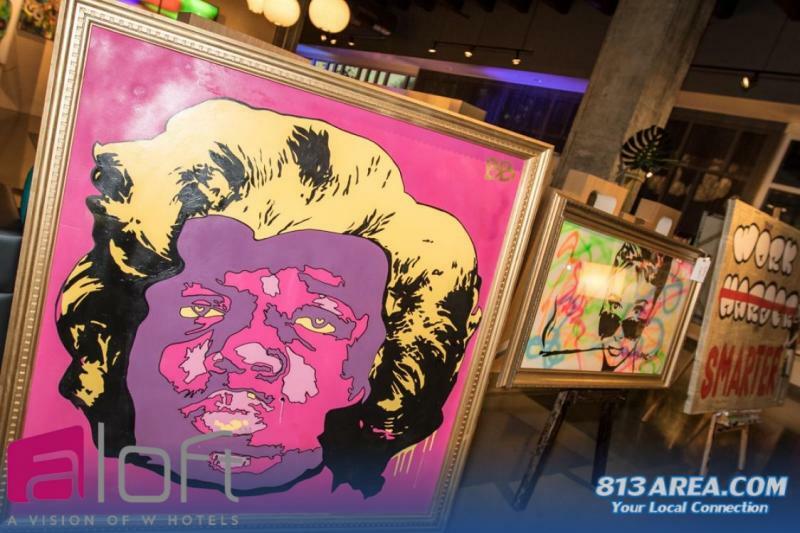 When you step into the lobby of this downtown Tampa hotel, you're immediately wowed by high, exposed ceilings and stylish decor with bold colors and artwork. This hotel in Tampa definitely supports the arts by hosting exhibitions by local artists showcasing paintings, sculpture, and occasionally live models covered in body art. 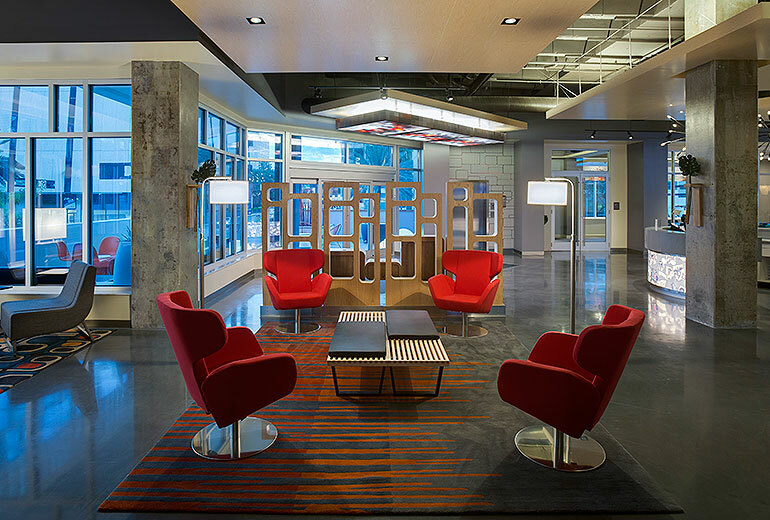 Aloft Tampa feels like a loft in every sense of the word. 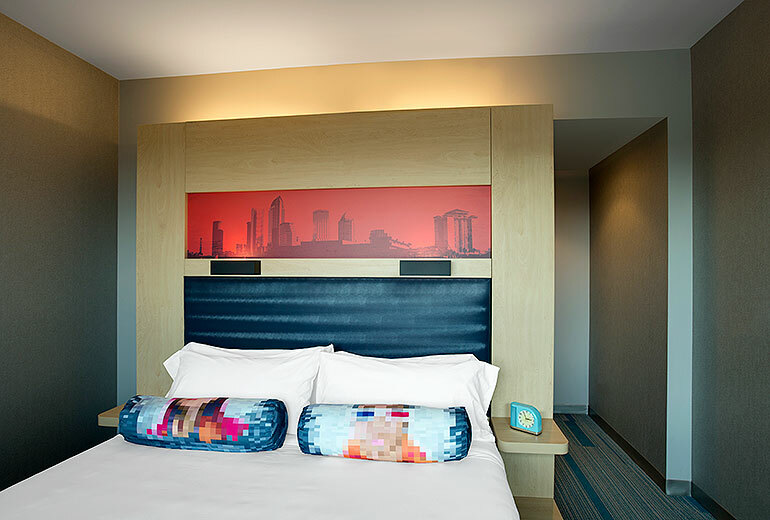 The rooms at Aloft Tampa truly feel like lofts with chic, comfortable furnishings and serene views of the slowly meandering Hillsborough River. 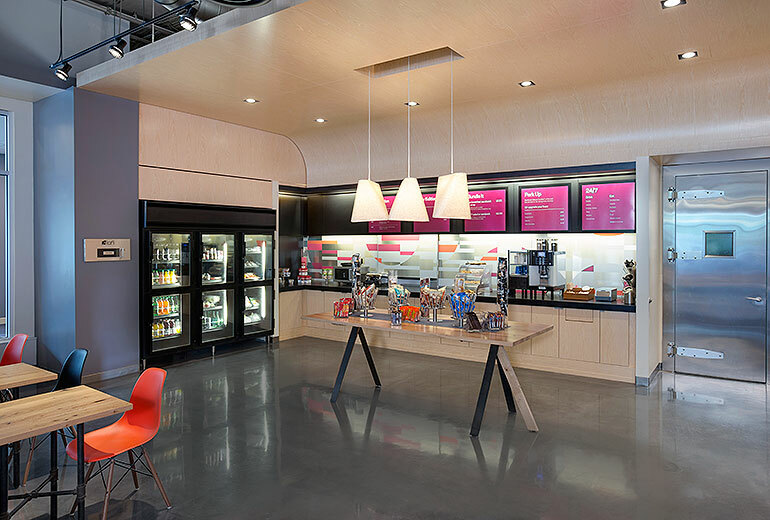 In addition to stylish rooms, guests also enjoy Re:fuel, a grab n’ go-style concessions area with drinks, snacks, and nearby seating. 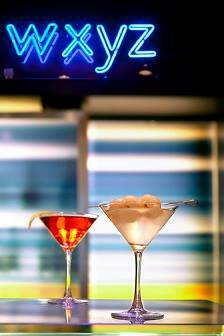 The heart of Aloft Tampa, however, is the hip W XYZ Bar. Open to the public daily from 4:00 PM to 2:00 AM, they offer nightly drinks specials and premiere events. 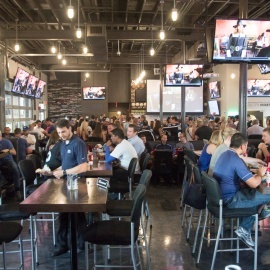 Happy Hour is 4:00 PM to 7:00 PM everyday with half-off beer and wine, a $5 cocktail of the day, and $5 appetizers. 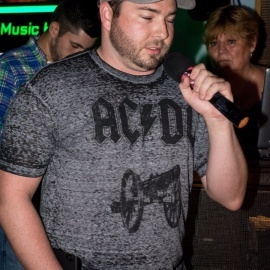 You can also jam to live DJs on Fridays and Saturdays from 8:00 PM to 11:00 PM. 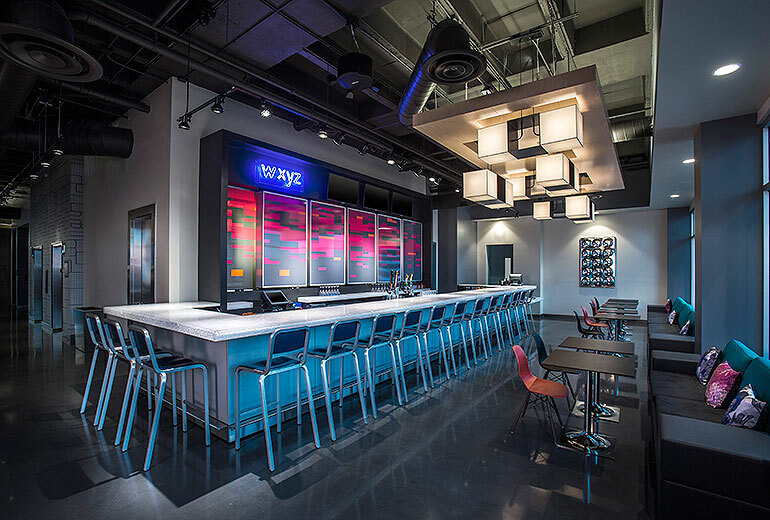 W XYZ Lounge hosts Live at Aloft Hotels with acoustic performances by hot, emerging artists. 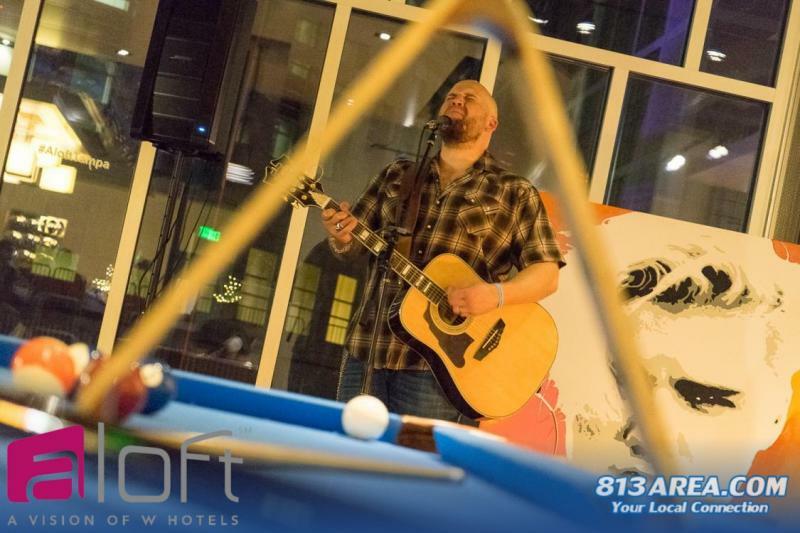 Come out to the bar for a night of great music and drinks using #AloftLive to capture the fun at one of our favorite downtown Tampa hotels. 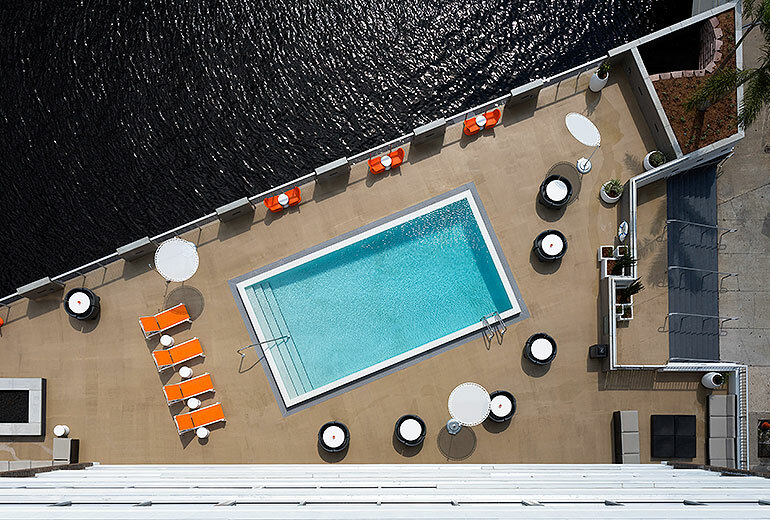 W XYZ Lounge leads out to the hotel’s pool where you can swim, relax, and socialize with a gorgeous view of the river. 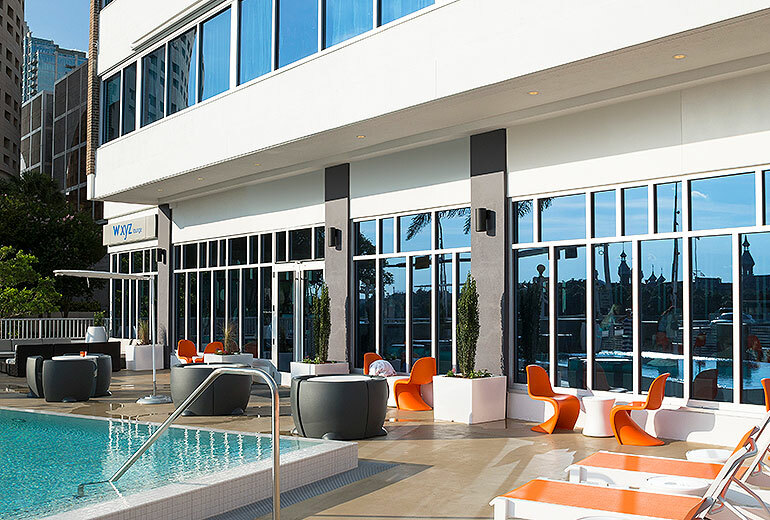 With its large pool area and onsite lounge, Aloft Tampa throws epic pool parties throughout the year, especially during the summer on holidays like Labor Day. The hotel’s pool is the perfect place to grab a cold one and kick back with friends while DJs play live music. 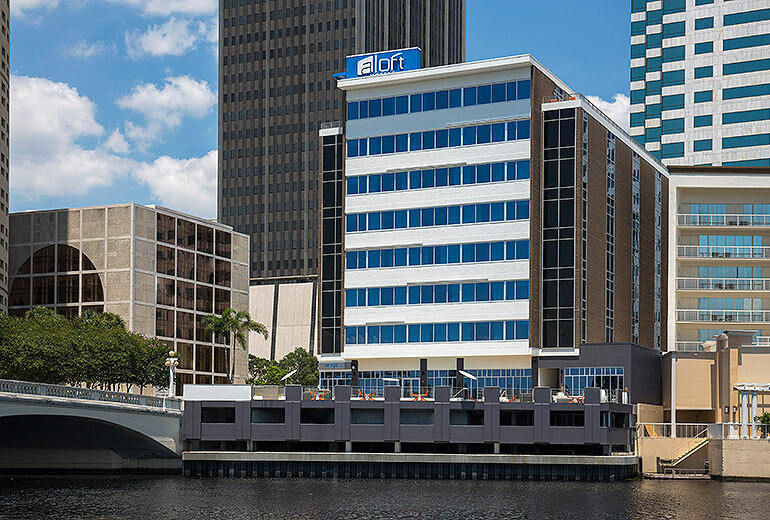 Visit Aloft Tampa’s 813 area business page to connect to their website and calendar of events, and don't forget to register on 813area for more information about Downtown Tampa Hotels. Find information on Travel in Tampa and beyond, and to connect to details you need about the best restaurants, in Tampa, things to do in Tampa, and much more. Your subscription is free!